Q: Once delivered and placed, can I take the wheels off? A: Yes, you can take the wheels off. However, we strongly suggest that if your land is flood prone or bush fire prone you leave the wheels on. The trailer itself is fixed and cannot be removed. Your Tiny is always considered a caravan, even if the wheels are off. To move it in the future, you can apply for an unregistered vehicle permit up to 28 days. A caravan must remain capable of being registered (NSW). This may vary from state to state. Q: Do I need council approval to have a Tiny Home? A: The information here is for NSW only. This ruling may vary from State to State. We strongly advise you check this information with your local council. (c) the installation of a caravan or campervan on pastoral or agricultural land, so long as it is merely occupied seasonally by persons employed in pastoral or agricultural operations on the land. (1) the enclosed area of all annexes that are attached to a caravan must not exceed the enclosed floor area of the caravan. (2) for the purposes of this clause, the floor area of a caravan that has a maximum internal width of less than 3.1 metres must be determined as if that width were 3.1 metres. Q: Why do I need a Tiny Home? (1) Additional housing. If a dwelling already exists, in almost all cases you don’t need a DA to have a caravan. A tiny could be used for an extra room for a growing family, housing for relatives or university students, home office or studio, hobbies room, games or pool room, short-term holiday accommodation, study room for a high schooler, nanny or au pair quarters. This includes residential and farm blocks. (2) Temporary accommodation during construction of a new house (and once the main house is complete you have a guesthouse for extra space or it can be relocated to another site). (3) To achieve sustainability and have less of an impact on the environment. (4) Accommodation on a rural block that has no building entitlement but allows for a caravan. (5) Holiday accommodation at a caravan park, similar to that of a cabin. It is essentially a caravan with an optional annexe. (7) Temporary accommodation on an agricultural site. (8) Need to be mortgage free. Oh, the possibilities! A: We offer a delivery service Australia wide or we can organise a tow company for delivery from our workshop to your front drive. Delivery is an additional cost. Q: How much does a Tiny Home weigh? A: Weights vary depending on the model. Maximum allowable is 4.5 tonnes. A: Build times vary depending on the model. On average it’s 2-3 months in the workshop. Due to current demands we have a build schedule of approximately 4-5 months. Q: Where do you build the Tiny Homes? A: The Tiny Home is built in our workshop. Therefore, there is no construction noise or mess on your site. If you order the Annexe series, we will construct the trailer and annexe in our workshop, and then deliver the two parts. Q: Which model is best for me? A: Please free to call or email us to discuss which model would best suit your needs. You will find our models under the “Tiny homes +” tab. We have a variety of shapes and sizes to select and all can be changed to suit your own design requirements. Q: Can the Tiny Home be off-grid? A: Yes it can. We can install a complete solar system, selected to meet your needs. We offer a wood-fire combustion heater for heating and incorporate a passive solar design for cooling plus ceiling fans. We offer a gas stove/oven for cooking. Additionally, a composting toilet can be installed or other options can be discussed. Rainwater can be collected into tanks. Q: Can I travel around in my Tiny Home? A: All models can travel around. We recommend that you consider our Adventure Series (one of three models) if you would like to move your tiny home frequently. This is mainly due to the weight and shape of the Tiny. The trailer frame is hardy and has the durability to be moved. Q: I want to make some changes to your designs. Can I customise my Tiny Home? A: Yes! We are a custom build company, so we can build to suit whatever layout you want and/or your budget. Please complete our custom design template and email it to us for a free quote. You can change most of the internal and external features. Just remember that the entrance door must be on the kerb side or rear to comply. Q: How much does a quote cost? A: Quotes are free. Additionally, we can provide a computer 3D model at no charge allowing you to “walk through” your design. Q: I don’t want my Tiny Home right now, but I want to lock in a date for delivery. How can I do this? A: You can pay a 20% non-refundable deposit and secure a placeholder position, which allows you to have your Tiny Home delivered as soon as you are ready. Q: Is there are payment plan? A: We can offer a payment plan of 5 payments to be paid at the following stages: 20% deposit, 20% at trailer stage, 20% at timber frame stage, 20% at lock-up stage and the final 20% upon completion. Refer elsewhere on the website for payment plan. Q: Is the Tiny Home insulated? A: Yes, it has double insulation in the walls and roof minimising energy needed for heating and cooling. In addition, all windows are double-glazed. If you require insulation under the floor this can be added. Q: How do I connect the sewage? A: There are a few options at an additional cost: (1) Connect to existing sewer system (mains or septic) by engaging a local plumber. A Tiny Home comes with a standard flushing toilet ready for your local plumber to connect to your existing system. If there’s no existing sewer system available you have the option of either: (1) a composting toilet or (2) installing a septic tank system to connect to your flushing toilet. Q: How do I get water? All Tiny Homes come with a built in gutter system. Downpipes need to be added after delivery due to width. Q: Why is there a gas bottle on the front of the Tiny Home? A: LPG gas is used to run the stove, oven, and hot water system and you have the choice of a gas oven as well. A: The maximum height from ground to ridge is 4.3m. The maximum trailer length that we make is 7.2m. The maximum width is 2.5m; additionally an annexe can be incorporated to give a width of 5m. This is fixed to the ground (not on wheels). Q: I would like to see a Tiny Home in person. Do you have one on display? A: You can make an appointment to come and view our Tiny Homes. We have an active workshop with up to 8 tiny homes to view at various stages. At most times there is at least 1 Tiny Home 100% complete but not guaranteed. We advise you call to check. Q: How do I connect to power? A: Our standard Tiny Home runs on a solar/mains hybrid electrical system. It runs off solar with battery storage for the lights and a 15amp mains power for the appliances (such as a full size fridge, TV etc). The Tiny Home plugs in by an electrical lead like a traditional caravan. You can have more or less solar if desired. Q: What do I need to do to prepare for the delivery of my Tiny Home? A: When your Tiny is ready for delivery we will give you plenty of notice so you can (a) make sure the area your Tiny will be going is level, (b) make sure the area is accessible, i.e. no over hanging branches, driveway wide enough etc. More about this will be discussed with you throughout the construction process of your Tiny. Q: Can I build a deck or veranda around my Tiny? A: It’s best to check with local council rules on decking. For NSW, decks are exempt from DA however we advise you should check on requirements. The deck should be built in accordance with Planning NSW Exempt Development guidelines. For more information go to https://www.planningportal.nsw.gov.au/understanding-planning/assessment-systems/exempt-development. Q: Can you build the deck or veranda for us? A: Due to the distance and time factors we prefer not to do this for our customers as it can become very expensive for both parties. It is advisable that if you want to add on a deck or veranda that you get in a local tradesman or if you are handy do it yourself. Q: Do you install the Tiny Home? A: If you choose our delivery service we deliver the Tiny from the workshop to your property using an F250 4WD. If your land is prepared properly and driveway or access to your property is straightforward, i.e. enough width and clear from over hanging branches etc, it takes approximately 45 minutes to set the Tiny in place. *If you are unable to do the installation yourself our drivers may be able to assist you. The cost is $270 per hour and is payable to the drivers on the day of delivery. You also have the option of employing a local plumber and/or electrician to install everything for you. *The Tiny is delivered to you by two drivers. If you require the drivers to install any of the Tiny utilities or if the drivers need to make adjustments to the property in terms of clearing, levelling etc there is a charge of $270.00 per hour which is payable to the drivers on the day. Q: How will my Tiny Home go in a high bushfire area? A: There are always risks with any kind of accommodation in bush fire prone areas or high flooding areas. Choose the area carefully on your block/land where you want your Tiny to go and what effects the elements may have. We advise that you keep the wheels on so you can easily vacate the property.  Different materials may be used in the construction of your tiny also which may be more suited to bushfire zones. This should be discussed during the design process. We have information we can provide upon request regarding fire prone areas around Australia, what to do in case of a bush fire and information on putting a fire plan in place. Q: Does the Tiny cope in high wind areas? A. If you are concerned about high wind areas, you can make your Tiny Home even more secure. Each corner jack has the loop already installed. You will need 4 x star pickets, 4 x D shackle to go onto the star picket, 4 x ratchet strapping. The ratchet strapping will hook onto the corner jack at one end and the other end will connect to the d shackle on the star picket. Q: Can I buy a trailer and build myself? Our company does not sell individual trailers but we do but we sell shells. This is a great way for people to undertake some DIY. We take care of all the hard parts. Each shell is built to lock up and water tight ready for the owner to install their own custom internal layout. The units are unpainted, no lining, insulation, plumbing or electrical. Gives you a blank canvas to create your own unique space. Ideal for those wanting to do some DIY but daunted by the idea of making the frame and trailer etc. Q: Where can I put my Tiny? If you don’t have access to a backyard, property, block of land or a bush block, you could try caravan parks and/or Tiny Home communities. Some of our customers have had success searching on Gumtree.